On September 17, 2018, we published the news piece, “Greek Metropolitan Calls on Constantinople to Repent and Cease Communication with Ukrainian Schismatics,” presenting thoughts from Metropolitan Seraphim of Kythira and Antikythera on the Ecumenical Patriarchate’s ongoing dealings with Ukrainian schismatics, with the intention of granting a tomos of autocephaly and thereby creating a new Ukrainian Orthodox Church. The Ecumenical Patriarchate announced on September 7 that he was sending two exarch bishops to Kiev to oversee and facilitate this process—an uncanonical action, as no blessing was sought from nor given by His Beatitude Metropolitan Onuphry of Kiev and All Ukraine, the primate of the Ukrainian Orthodox Church. In response, the Holy Synod of the Russian Orthodox Church announced on September 14 that it was ceasing liturgical commemoration of His All-Holiness Ecumenical Patriarch Bartholomew and episcopal concelebrations, and that the Russian Orthodox Church was withdrawing from any organizations or committees chaired or co-chaired by representatives of the Ecumenical Patriarchate. The Synod was also clear that this is not a break in Eucharistic communion. I am deeply upset, dear Mr. Alexander Stefanopoulos, by the Russian Patriarch’s cessation of ecclesiastical communion with the Ecumenical Patriarch.1 This sad and unfortunate result was brought about by the Patriarchate of Constantinople’s persistence in granting autocephaly to Ukrainian schismatics who are cut off from our holy Orthodox Church, that is, from all Orthodox patriarchates and autocephalous Local Orthodox Churches, and who represent a negligible minority of the Ukrainian people. 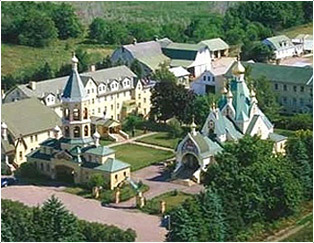 Until recently, the Ecumenical Patriarchate recognized only the canonical Ukrainian Orthodox Church under the omophorion of Metropolitan Onuphry, and now, for his own personal reasons, he is giving autocephaly to the schismatics of Ukraine and disdaining the canonical Orthodox Archdiocese of Ukraine, which is the only one recognized by the Russian Orthodox Church and the other Local Orthodox Churches. We appeal, Mr. Stefanopoulos, with a fervent request and heartfelt plea from the edges of our Greek Motherland, the Metropolis of Kythira and Antikythera, to the First Patriarch of our Orthodox Church that he would “take a step back” in order to avoid new schisms and divisions in the all-holy Body of Christ, in our holy Orthodox Church. Metropolitan Seraphim (Stergioulos) of Kythira and Antikythera was born in 1950. In 1978 he graduated with a master’s degree from the Faculty of Theology of Thessaloniki University with a specialty in Systematic Theology. From 1979 to 2005 he served as an official preacher of the Metropolis of Aegina. In 2005 he was elected and consecrated as a bishop and appointed as the metropolitan of Kythira.